This is the Bhendi Gulab flower. It is white in the morning and changes its color as the day grows. In the evening, it is bright pink. 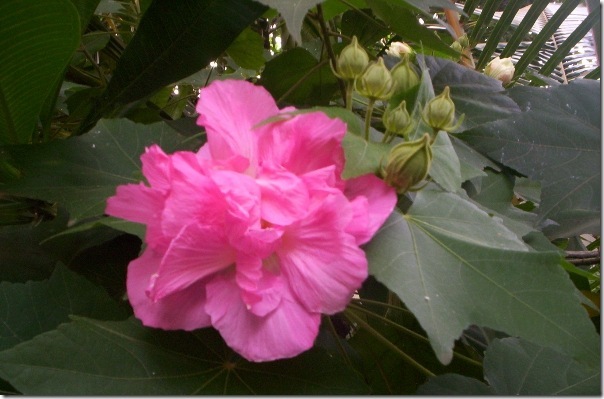 The botanical name for this plant is Hibiscus mutabilis. 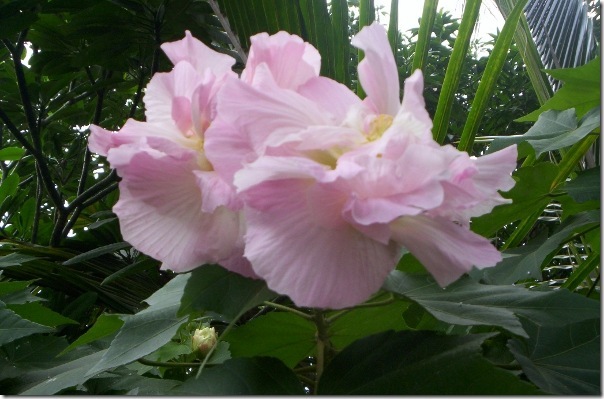 It is also commonly known as Cotton Rose, Changing Rose and Confederate Rose. The tree can grow up to 15-20 feet, and requires full sunlight.